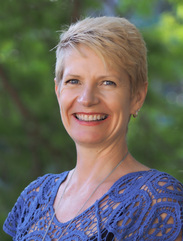 Hi I’m Kerri Abbott Sunshine Coast Naturopath, Nutritionist and Herbal Medicine Practitioner. Luckily I grew up on our beautiful Sunshine Coast. After having my 5 children, I became a Naturopath and Nutritionist so I could help people achieve their health potential through natural methods. I have recently opened a clinic Naturally Into Health in North Buderim to offer my clients a more holistic approach to health. We now offer Acupuncture, Chinese Massage and Clinical Psychology to compliment our Naturopathic services. As a Naturopath and Nutritionist I identify the cause of your health issue, instead of just treating the symptoms. I am a family practitioner and enjoy helping men, women and children feel the healthiest they can. Through the use of tools such as DNA analysis, live blood screening, pyrrole disorder testing, hormone and heavy metal testing, I can identify the underlying cause of your health problems. Then prescribe food as medicine and nutritional supplements to re-balance the body and restore health. I believe the body has the ability to heal itself given the right circumstances. Women’s hormones, menopause and fertility are of particular interest to me. There is a lot natural medicine can do to increase fertility of both the male and female. Menopause symptoms can also be alleviated by natural herbs and dietary changes. Healthy aging is of particular interest. Staying as healthy and mobile as we can for as long is what enjoying life is all about. Not just looking good but feeling great! Nutrition plays a vital role in health and longevity. This is why I became a DNA Analysis practitioner to help us alter the path of our genetic destiny. Yes we are born with genetic imperfections but we can switch them off with the help of prescribed nutrition and supplements. This enables us to live a long and healthy life free of the disease.